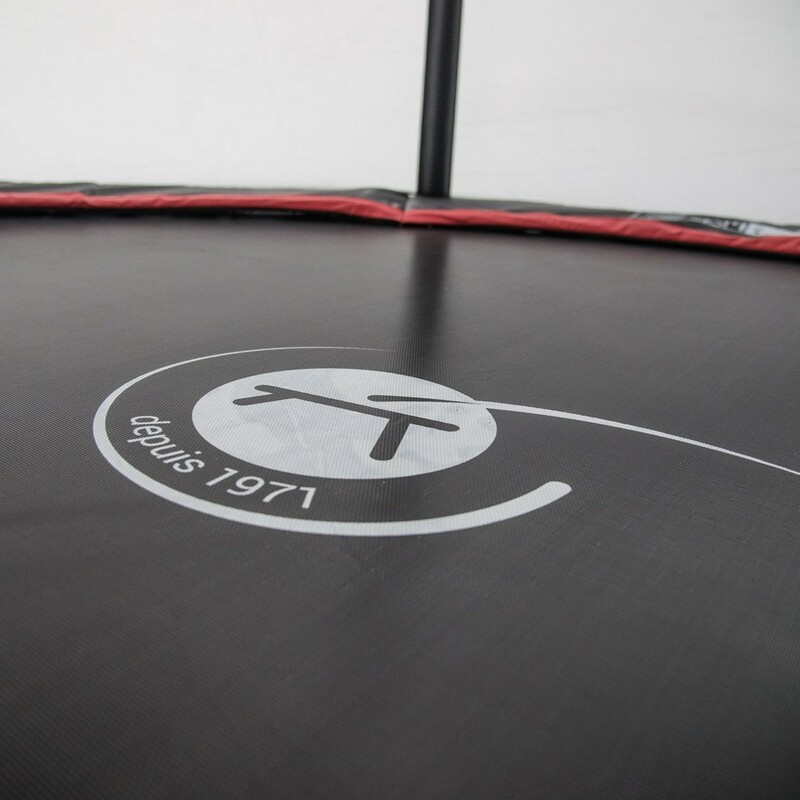 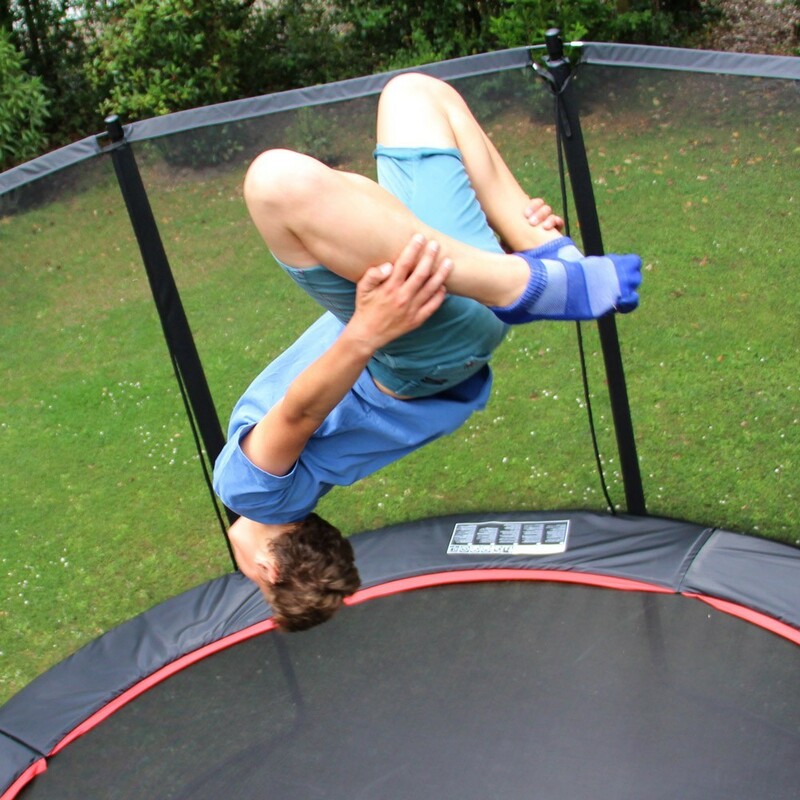 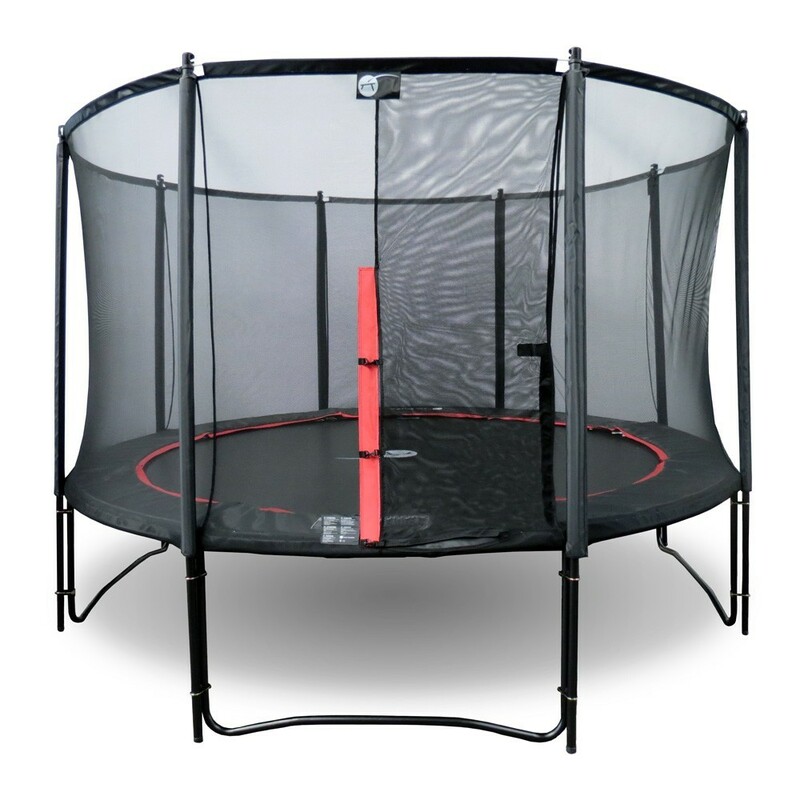 This big round trampoline, will allow you to carry out great jumps without feeling boxed in. 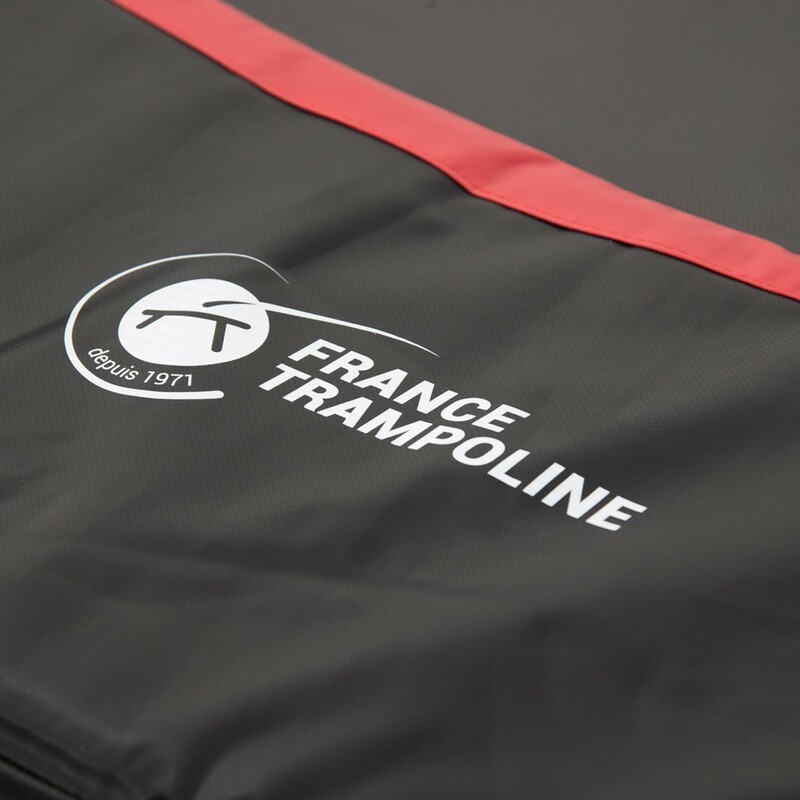 With its black framework and net posts, its sporty and elegant look reflects its high-performance capacities for both children and adults. 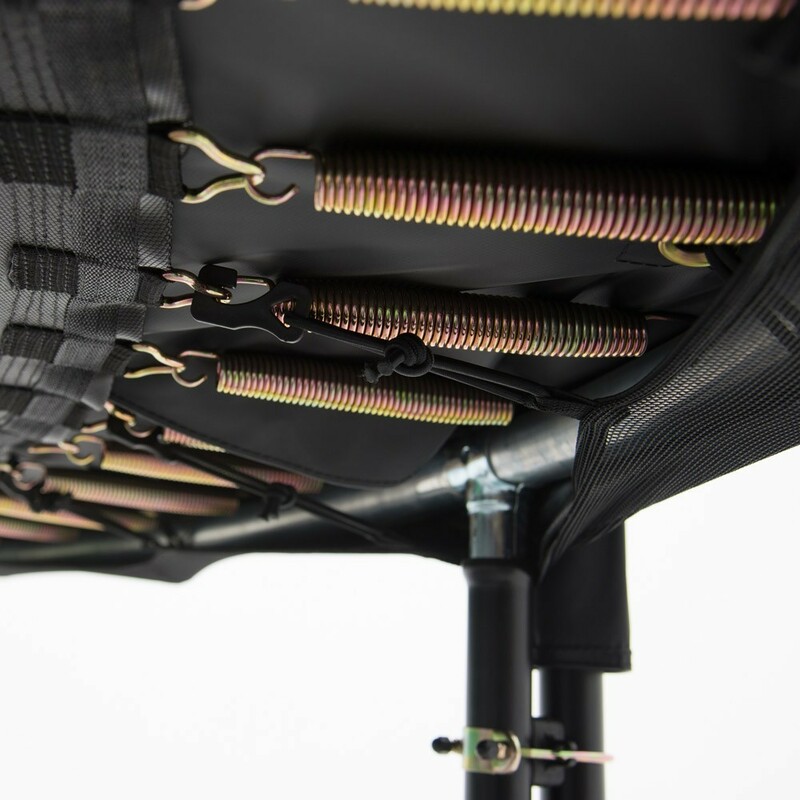 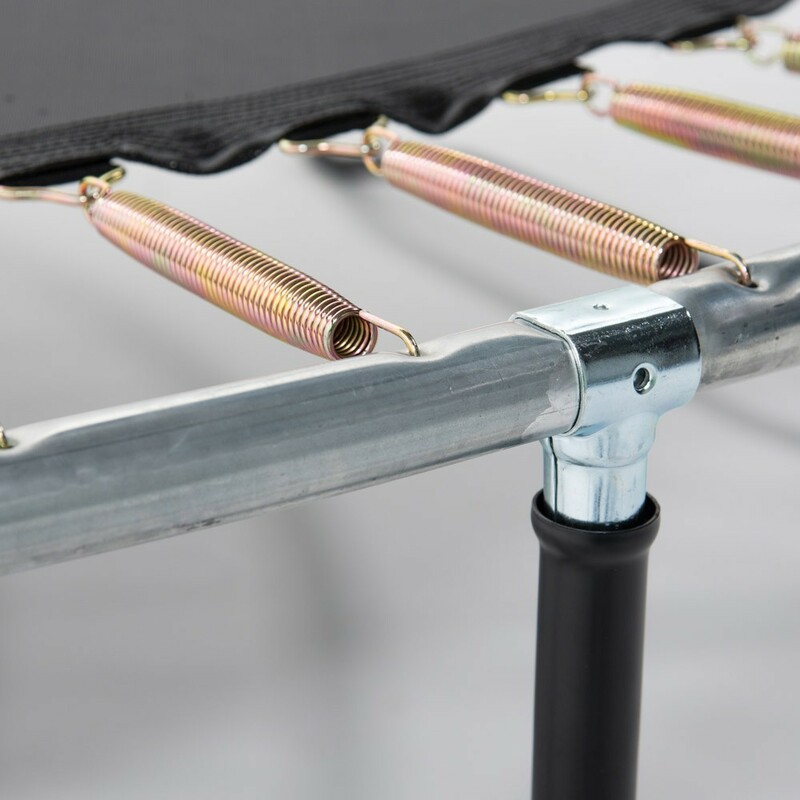 - Supple and dynamic jumps thanks to its 96, 230 mm long springs.The longer and wider the springs, the more energetic your jumping mat will be: The Booster 430 will allow all users to progress. 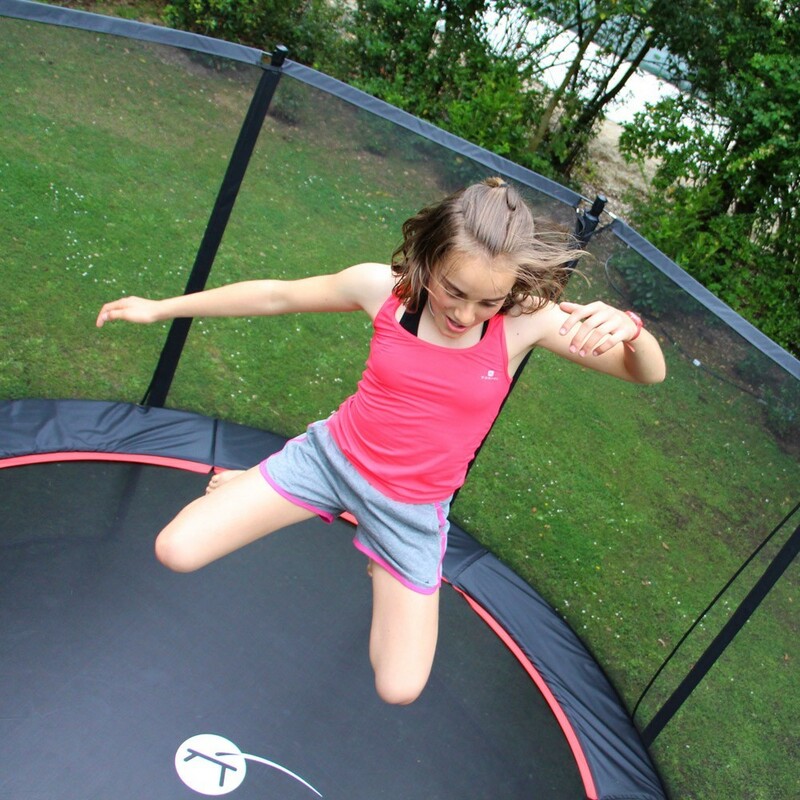 - The jumping mat measuring more than 10 sqm, strengthened with 8 rows of stitching and a reinforcement strap offers a great jumping surface for teenagers and adults. 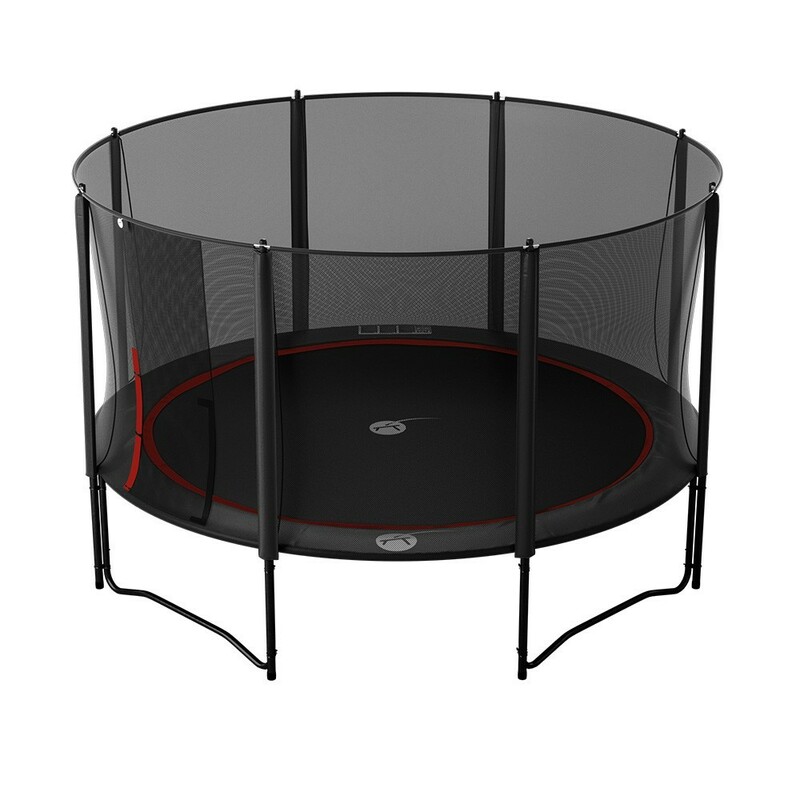 It is made from black UV-treated mesh offering resistance to elongation and tearing. 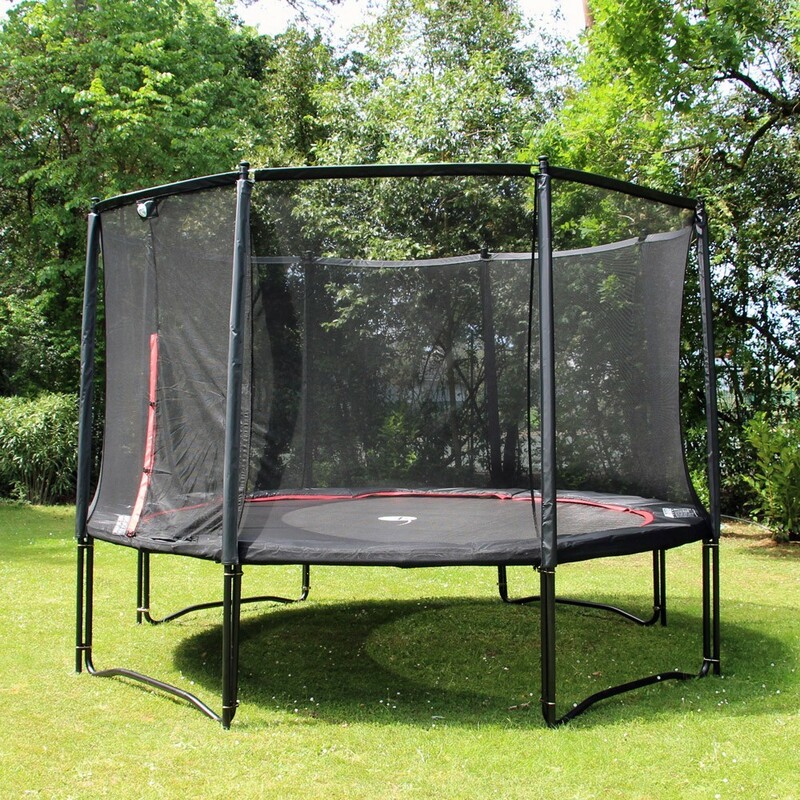 - The trampoline frame very solid and resistant to corrosion is made up of 48 mm in diameter black galvanized steel tubes, with a steel thickness of 2 mm. 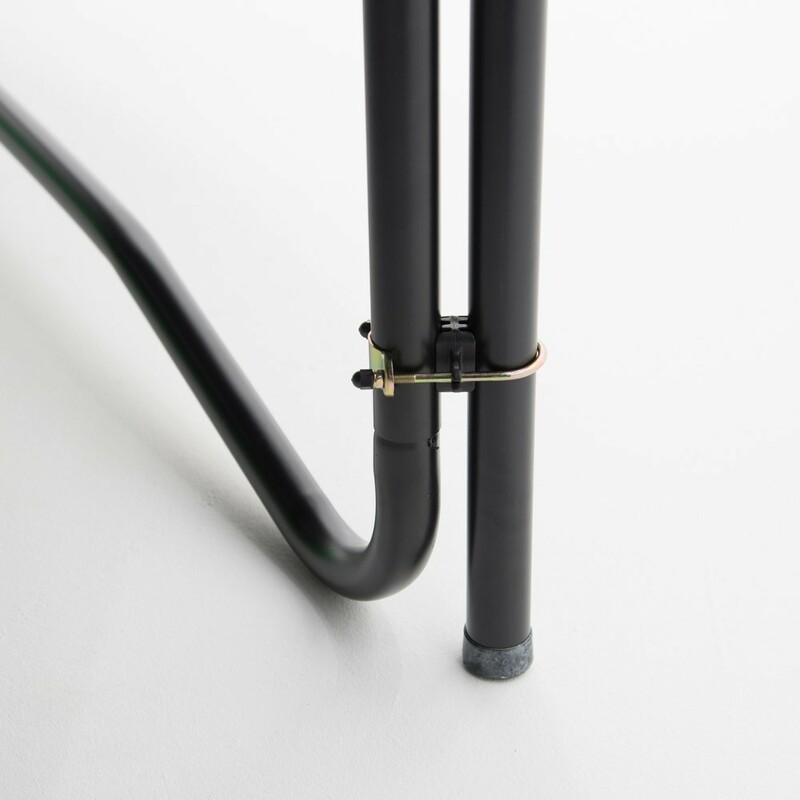 The feet and the structure are linked together using T-junction components which are more solid than simple welds. 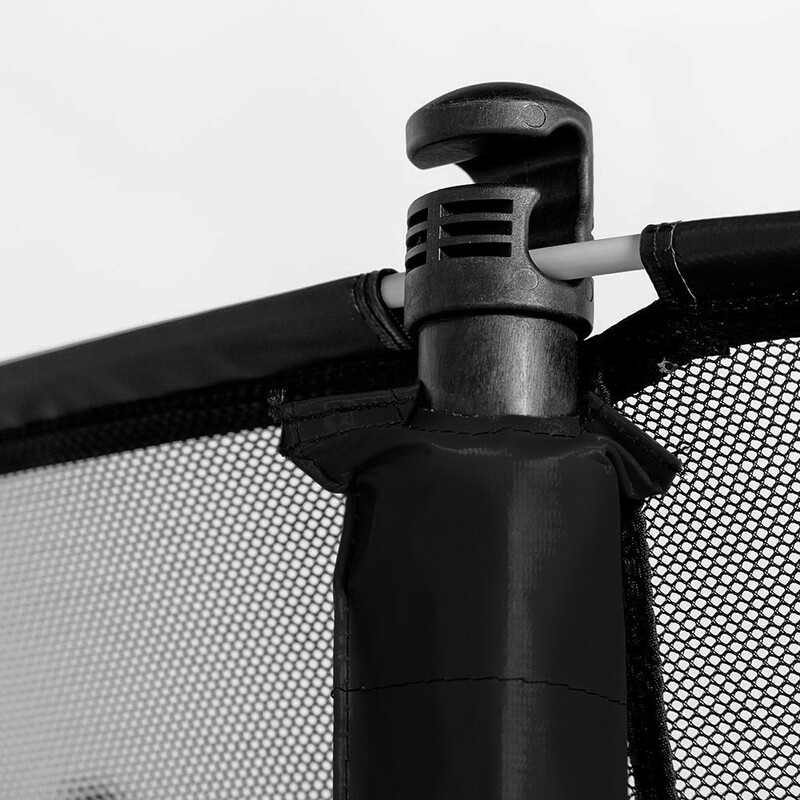 - The premium safety enclosure is held in place by 8 net posts of 38 mm in diameter, that stand directly on the ground for maximum stability. 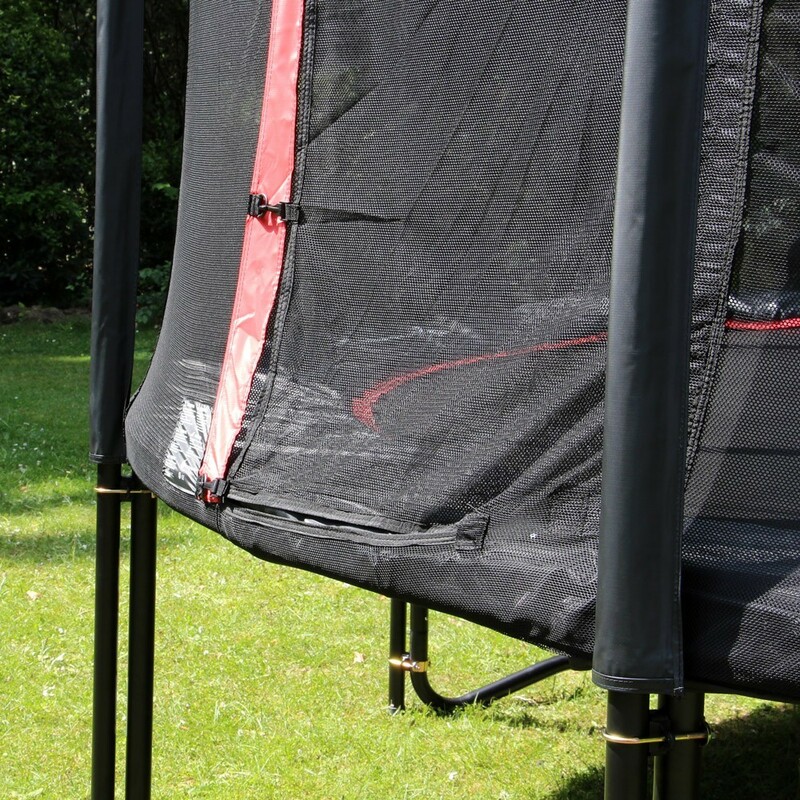 These posts are made from 1.5 mm thick galvanized steel and are covered with protective foam and a PVC sleeve. 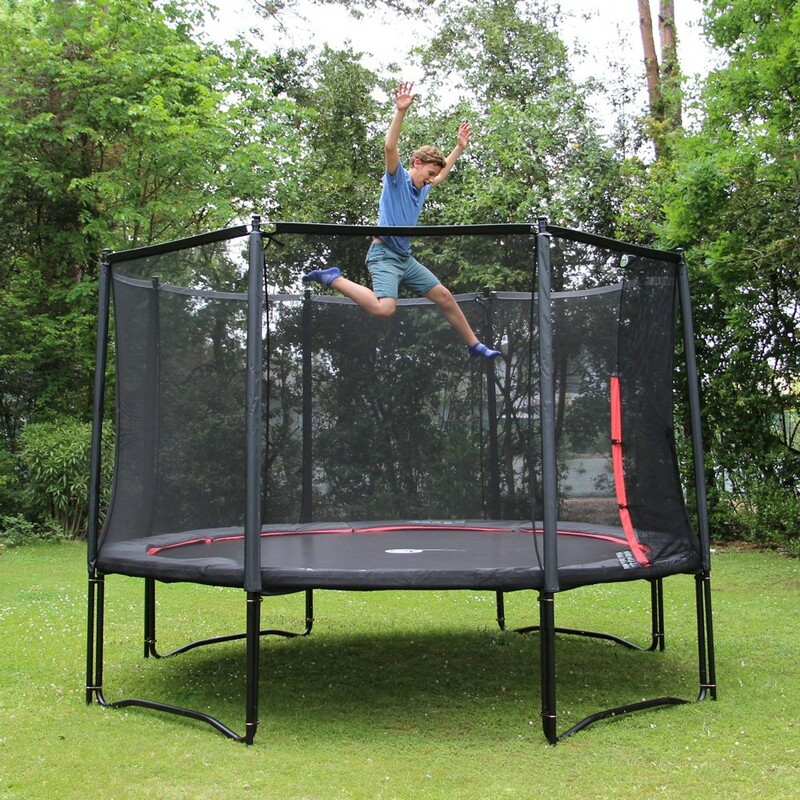 - The very resistant polyester net is made with very tight netting. 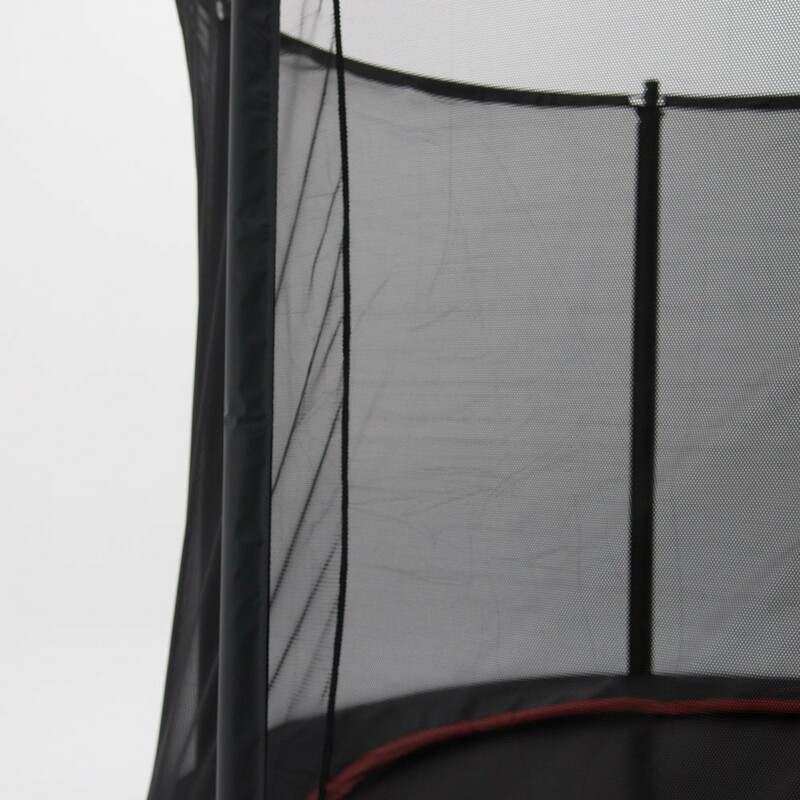 The net is stretched thanks to fibreglass rods set at the top of the net. 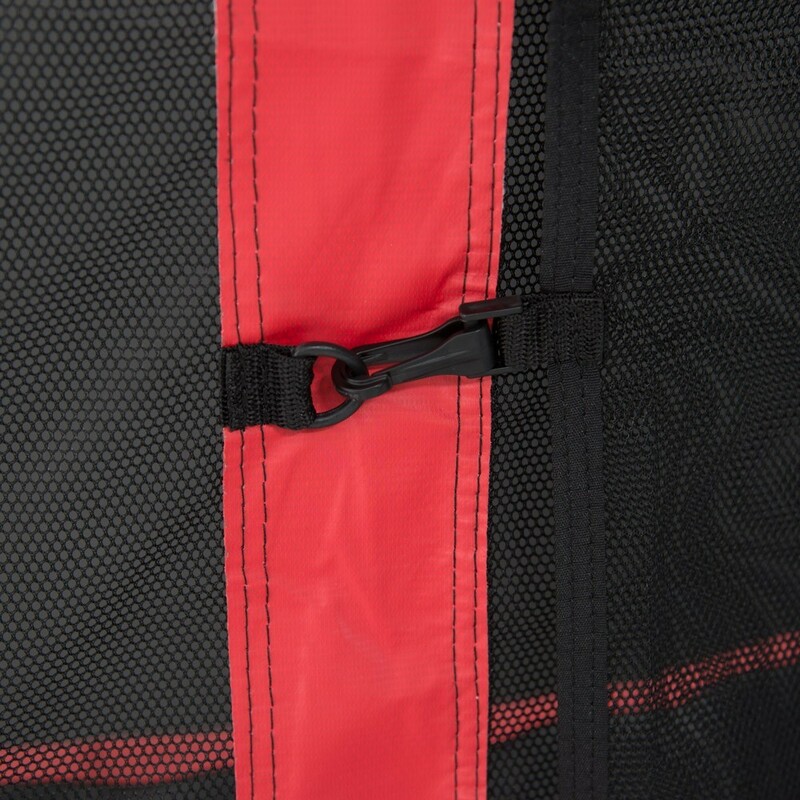 The safe overlapping entrance is easy to open with snap hooks and Velcro. 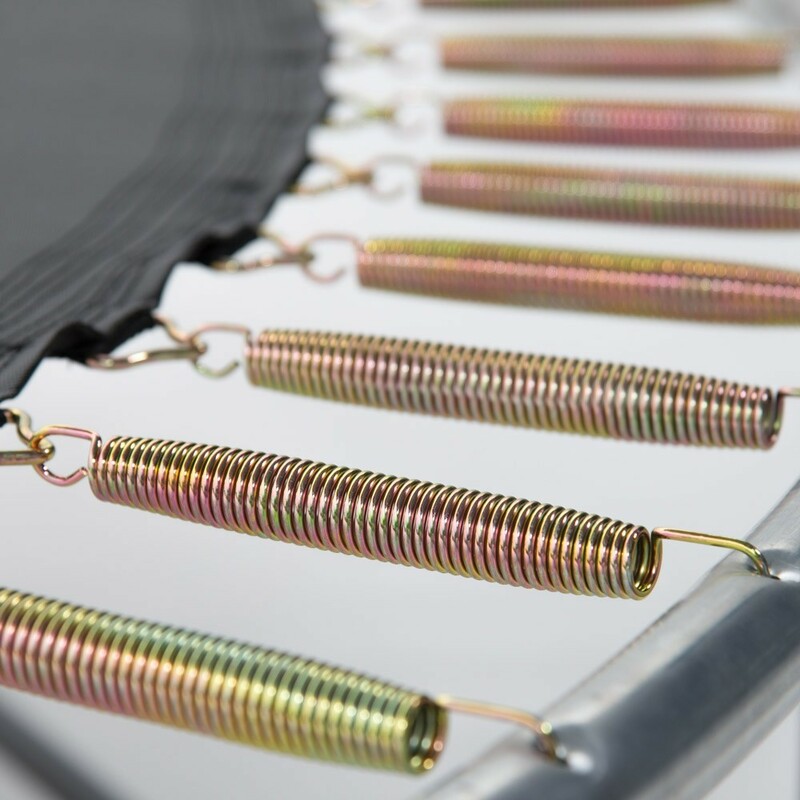 - A 31 mm thick frame pad. 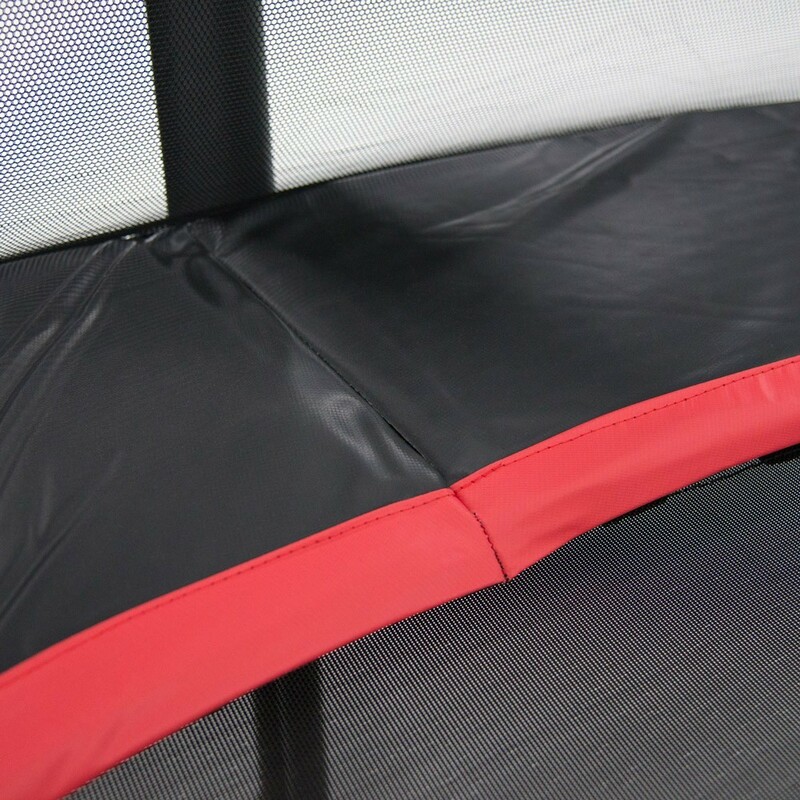 It is made from 31 mm thick mono-block foam covered in resistant black and red PVC. 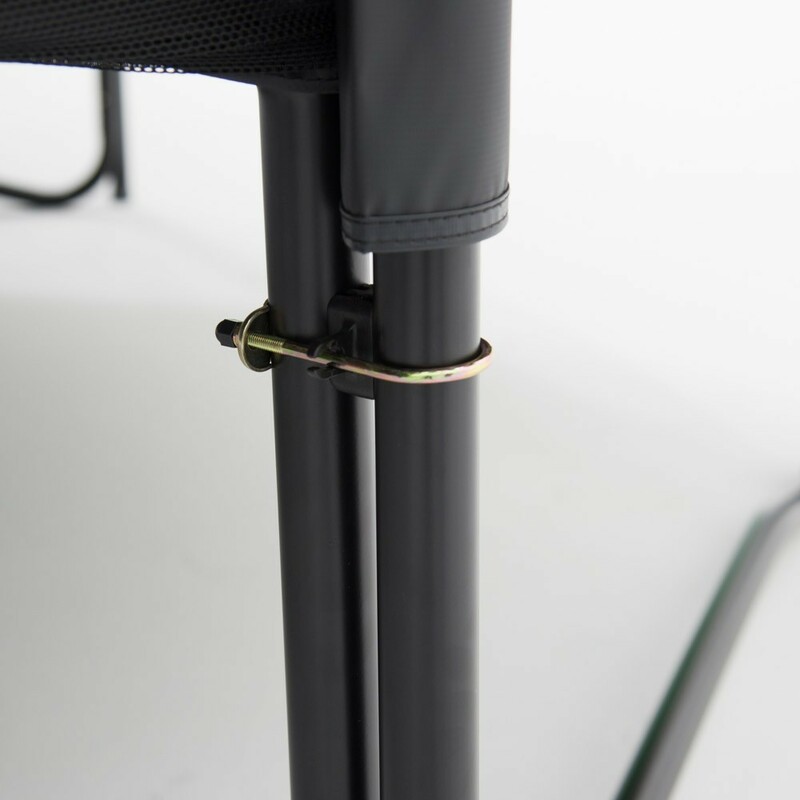 The frame pad covers the whole spring area for maximum safety.